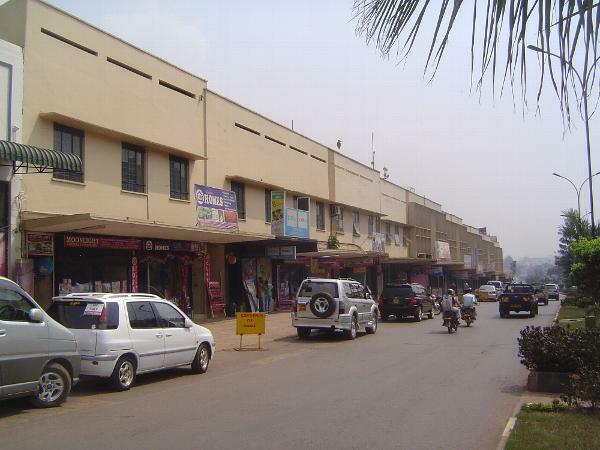 The author of Kampala's first town plan, A.E. 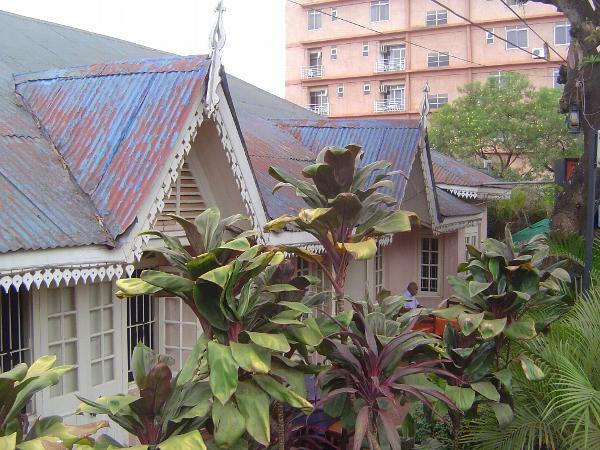 Mirams, arrived in 1929 from India, where he had worked in Bombay as a consultant surveyor to the government. 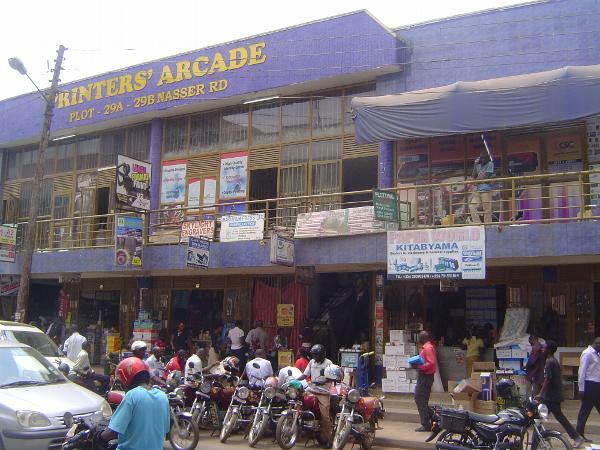 Did Mirams like Kampala? Good question. He wrote: "It is a town of seven hills, and is a strange mixture of the delightful and the hideous--glorious and entrancing scenery from splendid hill sides, over miles of valleys and open country, quite unsurpassed views of lake and hills, a town with many quite reasonably wide roads, and here and there a good building. On the other hand the valleys of death-dealing swamp, covered with papyrus and traversed by sluggish streams, brickfields and 'borrow' pits like ulcerous growths, corrugated iron shanties and sheds used both as shops and living places, with the entrails and skeletons of abandoned motor cars and other debris scattered all over the bazaar area, present a very different picture. It is by these and other signs that one is made to realise how terrible are the ravages created when our so-called civilisation forces its way uncontrolled into the heart of a new country." 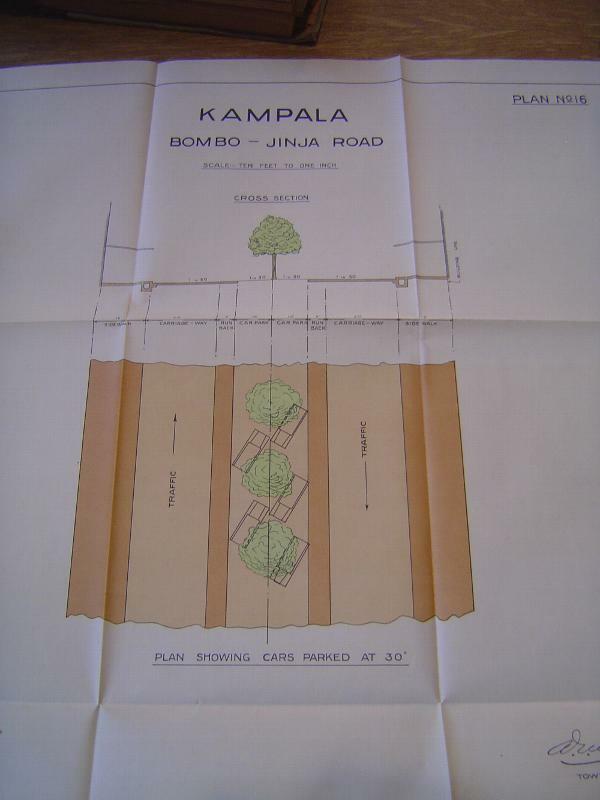 (Kampala: Report on the Town Planning and Development of., 1930, p. 3). 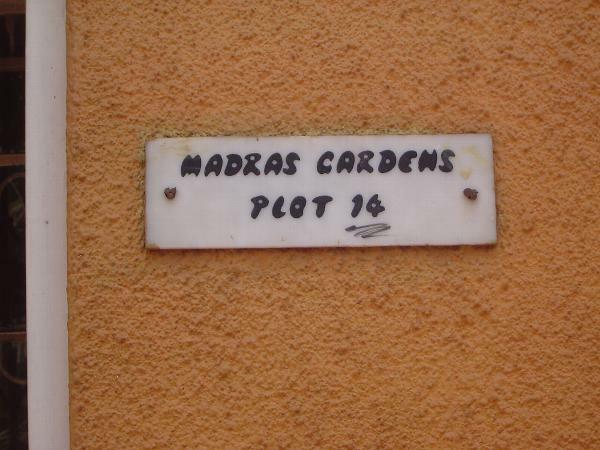 Mirams was writing about a town of fewer than 8,000 people! By the time the British quit in 1962, it had risen to 47,000. Fifty years later, in 2011, the population was officially estimated at 1.6 million. Any guesses what Mirams would say? 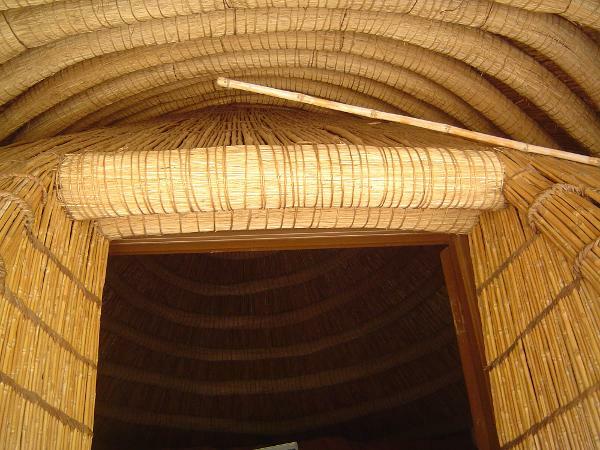 The domed ceiling in this case has split reeds under the thatch and supporting coils of spear grass or split palm fronds bound with woven string and supported by a framework of poles above the reeds. 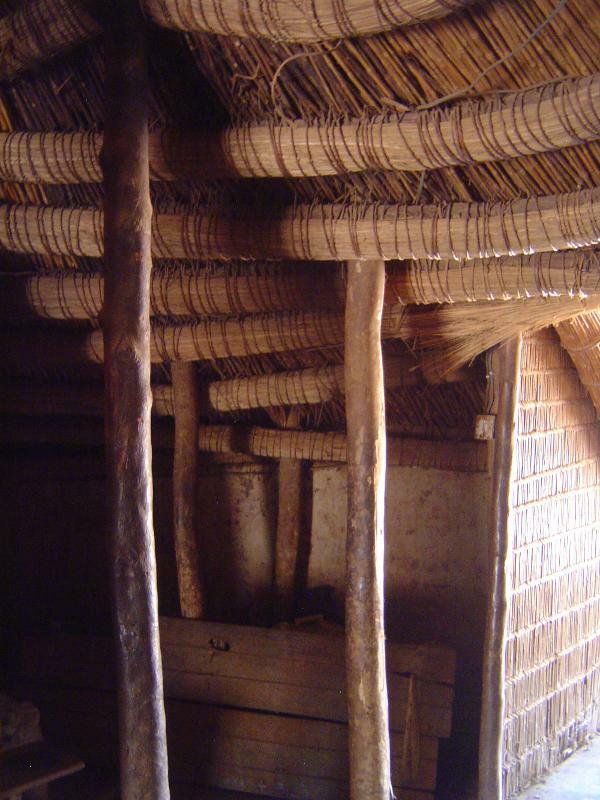 Only the lowest bundles of thatch were tied to the rings; higher ones rested unattached and could be removed when decayed. 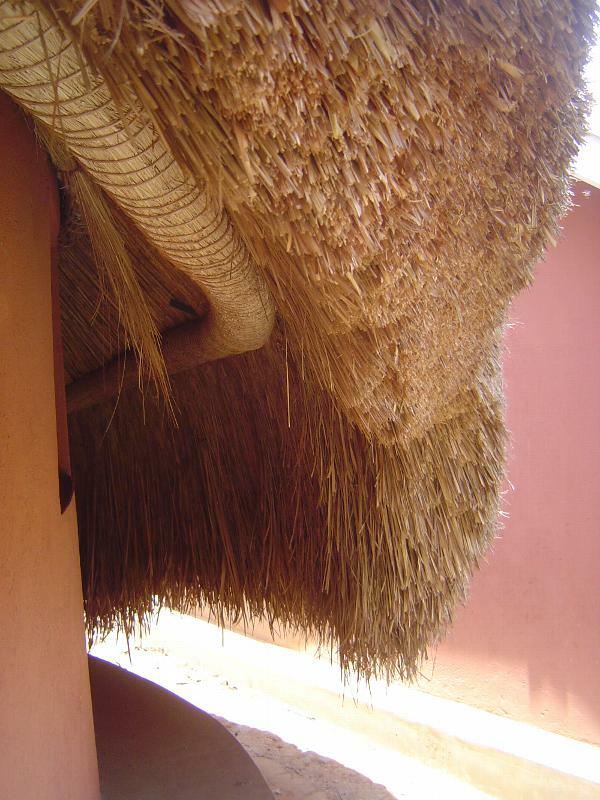 The lowest bundles were laid with the stems down; higher layers were laid with the stems up and were applied until the thatch was a foot thick. 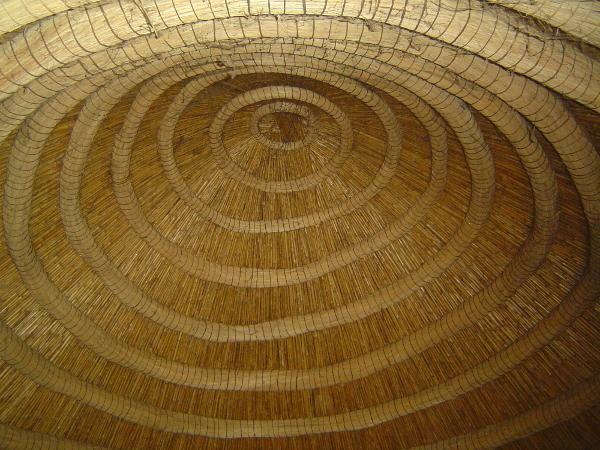 The work was done exclusively by the colobus-monkey (Ngeye) clan. 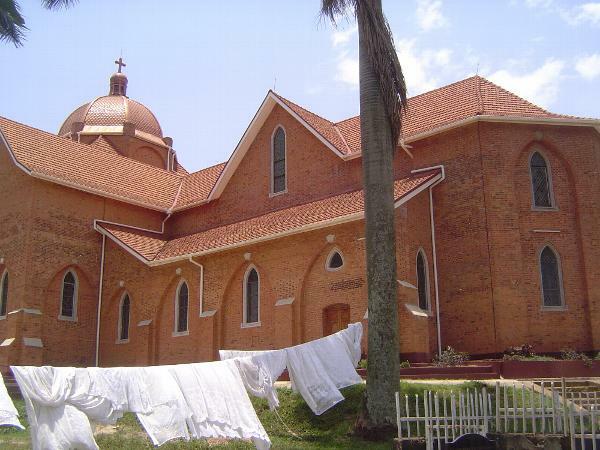 The missionaries weren't the only Europeans interested in Uganda. 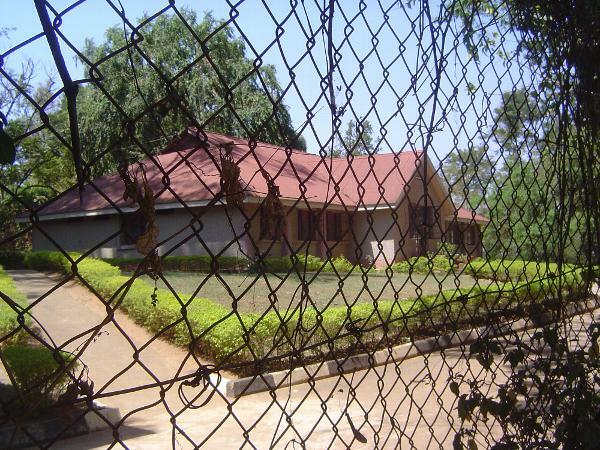 In 1890 the British East Africa Company sent Frederick Lugard to establish a fort in Kampala. 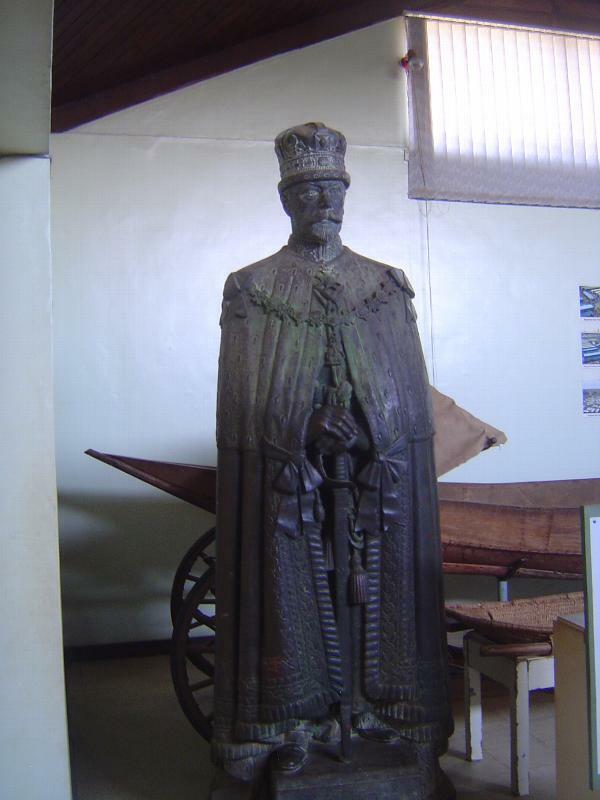 He did so, but Uganda became a British protectorate five years later, and so, here in the national museum, a bronze George V stands, looking as though he's being held up at the LHR immigration hall. "Cape, crown, sword.. and still they keep me waiting." 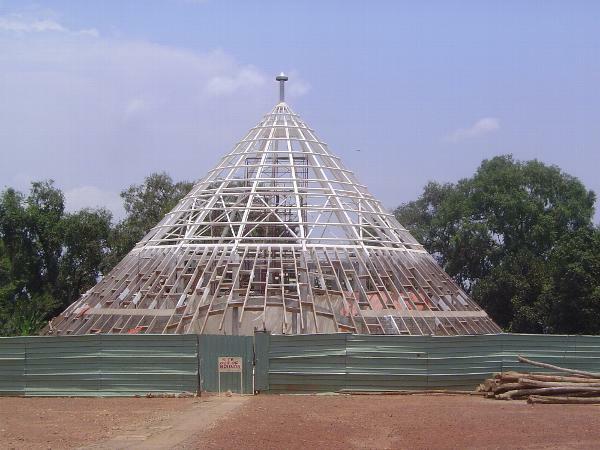 Lugard built a stockade of makindu palms. They were replaced the next year by a more substantial wall, but as early as 1930 Mirams would write that "little more than the remains of the walls can be seen today." 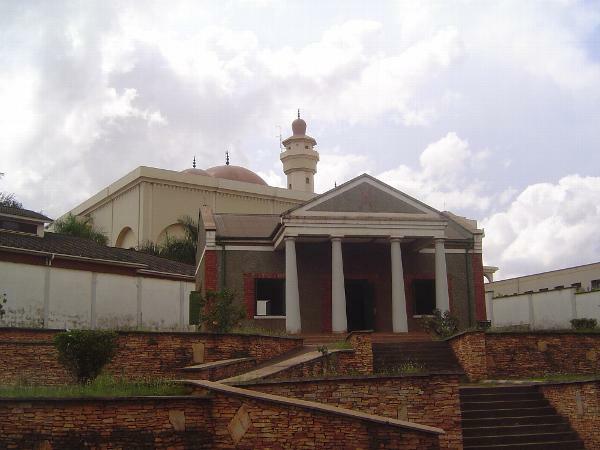 Lugard also built himself a temple-fronted office in the fort. Think this is it? Sorry to disappoint: it's a replica, though of the form and size of the original. Time for economic development! In 1907, an ebullient Undersecretary of State for the Colonies named Winston Churchill arrived on an inspection visit. He shortly wrote: "Let me make my message brief and unclouded, and as before expressed in three words, 'Build a Railway.' Till then all civilized government is extravagant and precarious, and all profitable commerce practically impossible" (My African Journey, 1908, pp. 143-145.) What was he complaining about? 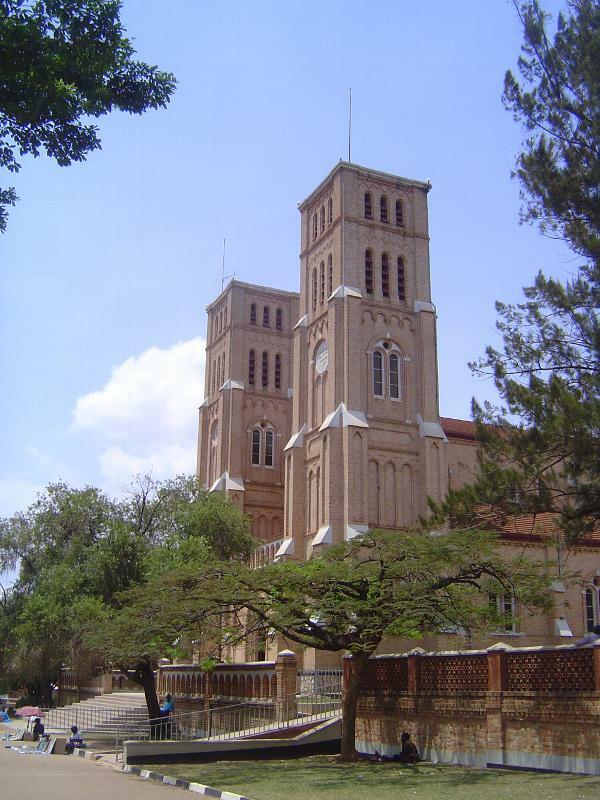 The British in 1901 had already opened the Uganda Railway from Mombasa to Port Florence (now Kisumu), on the eastern shore of Lake Victoria. From there, ferries crossed the lake in 12 hours to Entebbe. That's how Churchill arrived. Apparently he didn't like ferries. 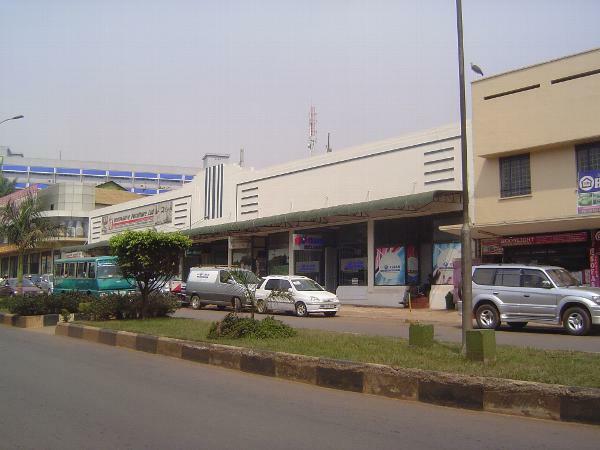 By 1929, however, the Uganda Railway had been extended round the north shore of Lake Victoria to Jinja, and a year later it crossed the Nile just below its outlet from the lake. 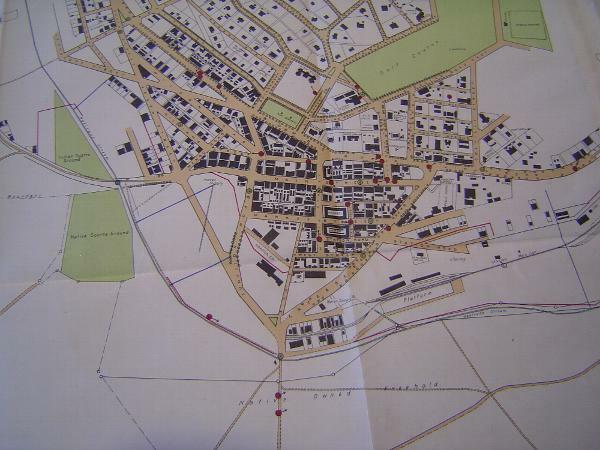 That same year, the line reached Kampala, 756 miles from Mombasa. 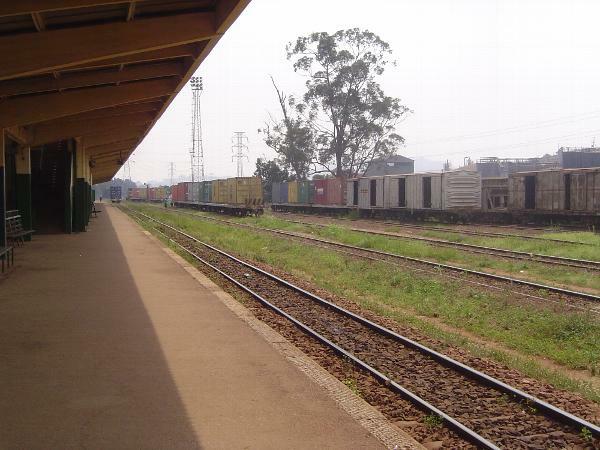 By the late 1950s the railroad had been extended still farther west to Kasese, 20 miles from the Belgian Congo. The British hoped that the line could be pushed another 300-plus miles to Stanleyville (now Kisangani) to create a rail-and-water route across equatorial Africa. It never happened. 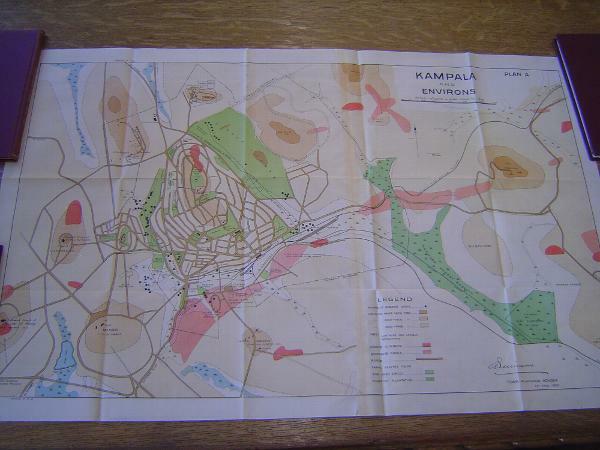 From the colonial archives, here's Governor William Gowers speaking in 1929: Kampala should not be seen as the intended end of the line but "merely as a strategic point for further extensions... 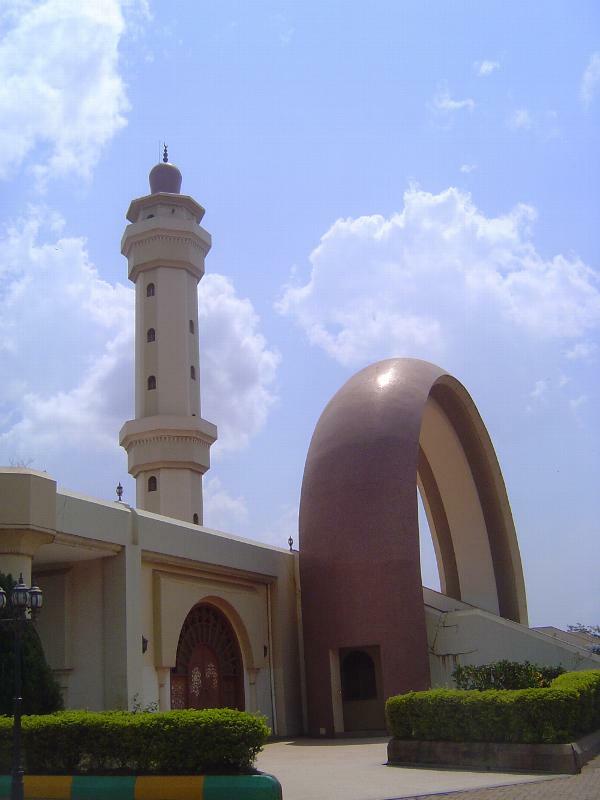 It has for many years been recognised that the ultimate objective of a line westward from the Coast must be the Congo, and the question is what part of the Congo. 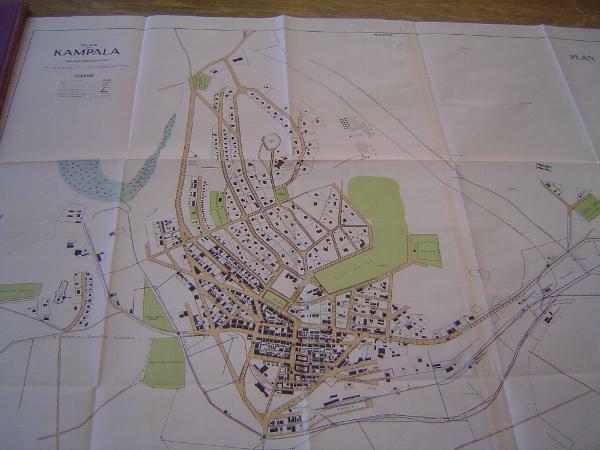 The answer can only be Stanleyville... which is obviously destined to become the main centre of communications in North Central Africa, of which the southern connection [from Cape Town] and the western connection to the Atlantic are already established" (Mirams, p. 111). 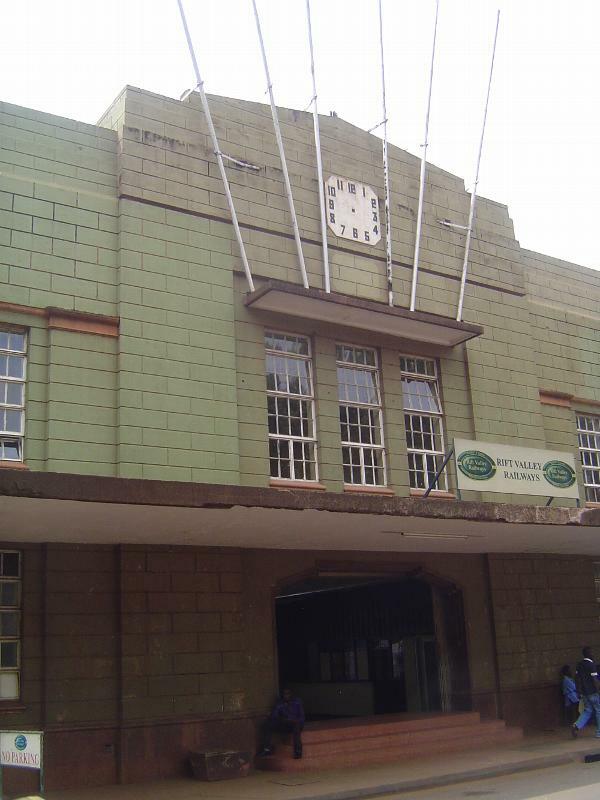 The Kampala station opened on February 20th, 1939, a decade after the first train. 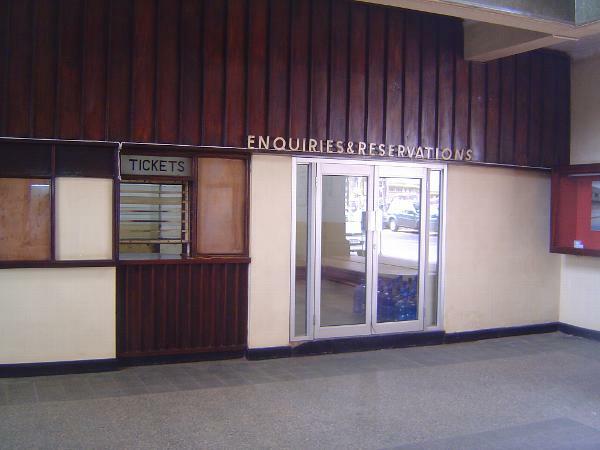 The station was described as "worthy to be the terminus of the great Kenya-Uganda Railway." Worried that you might miss your train because you can't see the time? 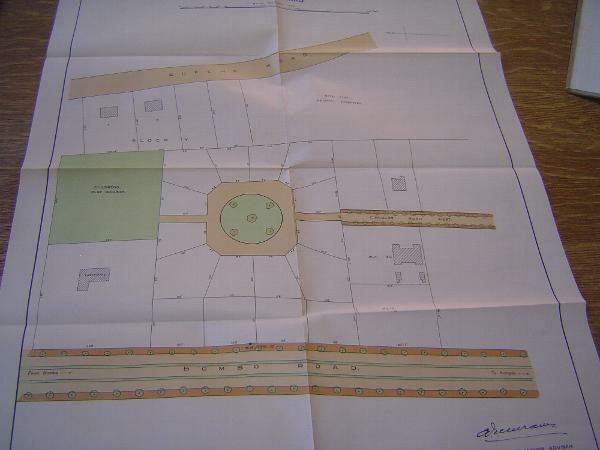 The railway station does not yet exist, though there's a platform. There's also a downtown, centered on Main Street. Here it is 85 years later, with a new name that reveals once again those never-say-die Pan-African hopes. Idi Amin in 1972 evicted the Indians who dominated the economy, but he had no effect on the Indian-style of signposting, here still in classic form. Wonder no more. 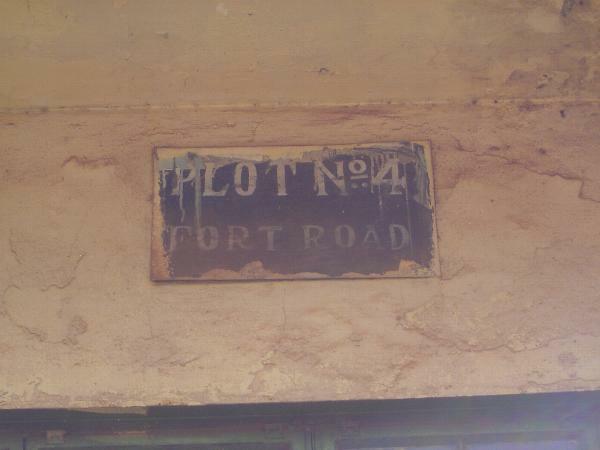 By 1930, the year of Miram's plan, there were 3,000 Indians in Kampala, and the ring road around Old Kampala was designated for their use. Separate quarters had been urged for Asians as early as 1914, when W.J. 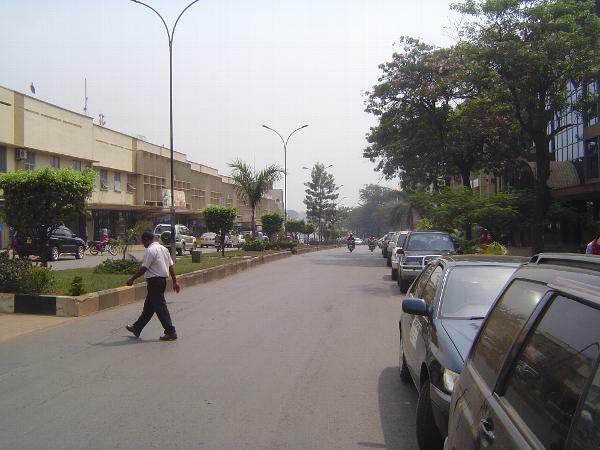 Simpson of the London School of Hygiene and Tropical Medicine visited Kampala. 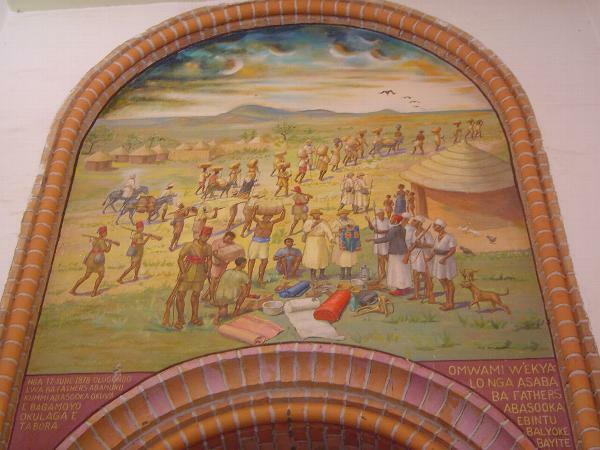 He wrote in the next year that "it has to be recognized that the standards and mode of life of the Asiatic do not ordinarily consort with the European....." Simpson not only separated Asians from Europeans but excluded Africans altogether, confining them to Kibuga, on the southwestern fringe of the city. (Quote from "Planning of Kampala City 1903-1962: The Planning Ideas, Values, and Their Physical Expression," by Fredrick Omolo-Okalebo et al, Journal of Planning History, 9:3, 2010). 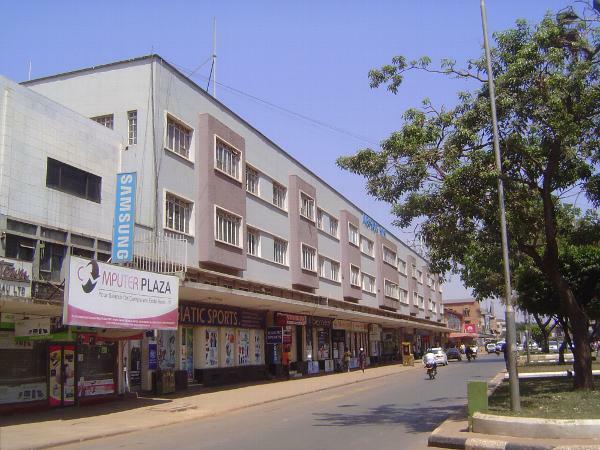 The British Secretary of State in 1923 overruled this policy and forbade formal segregation, but he also wrote that "in practice the different races will, by natural affinity, keep together in separate quarters" (Mirams, "Town Planning in Uganda," Journal of the Town Planning Institute, 19, 1931, p. 26). A European house of the period. 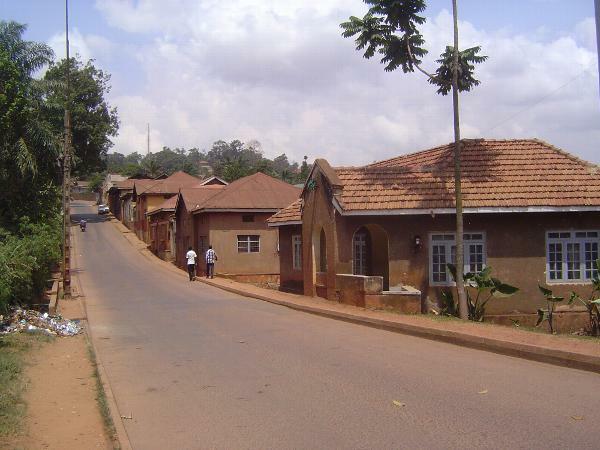 There's not a lot of renovation in Kampala; houses grow decrepit and are then demolished and replaced. Still, well-surveyed plots survive even as the houses on them fall apart. Pretty good shape: it's now a restaurant. The highrise behind it presumably replaced a one-story house. Another vintage home, this one with plenty of space. Wonder where it is? 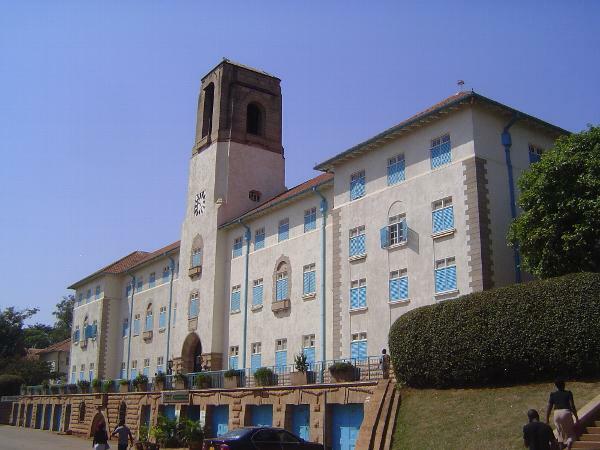 No problem: it's close to this, the main building of Makerere University, among the proudest British accomplishments in Uganda. 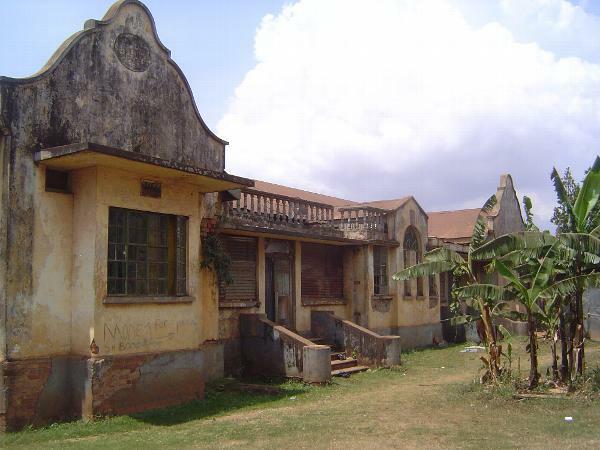 The school opened in 1921 as the Uganda Technical College for the Training of African Artisans, but it soon expanded and began offering courses in medicine, agriculture, veterinary science, engineering, surveying, and education. 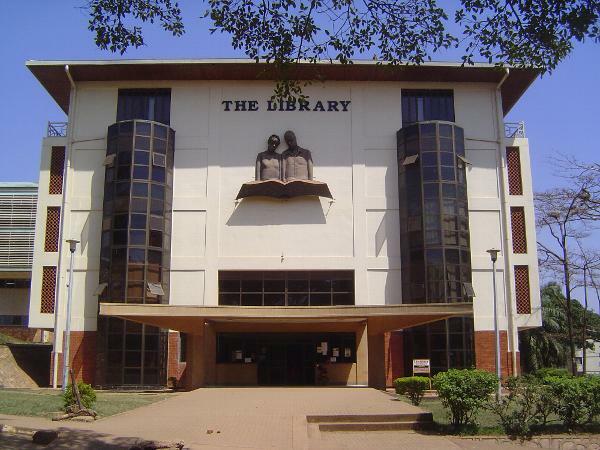 A reference book from the 1930s notes that "the future visualized for Makerere College is that of an African University College meeting the comparatively limited demand for higher education for all the east African territories" (H.B. Thomas and Robert Scott, Uganda, 1935, p. 319). 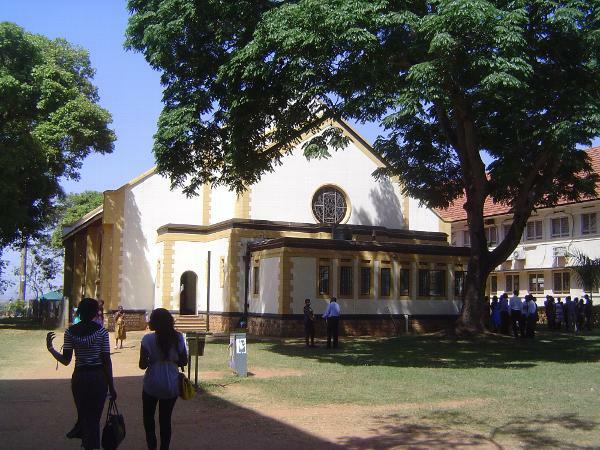 When this main building was begun in 1938 the event attracted not only the governors of both Uganda and Kenya but the Duke of Gloucester, the king's brother. 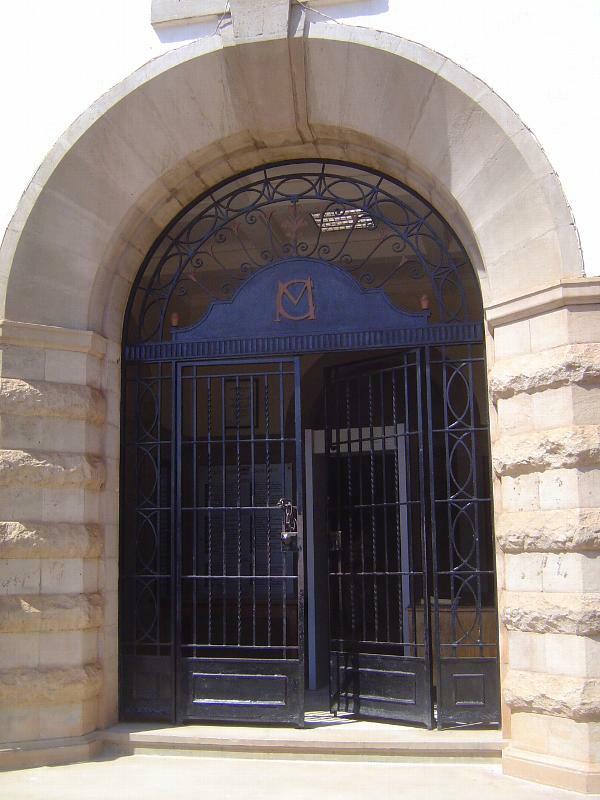 The first principal was a former headmaster of Marlborough College. Inside: the Oxford motto transplanted. Albert Cook, the medical missionary, posed a question that he must have considered rhetorical: "After all, what does the British Government want the African to become? 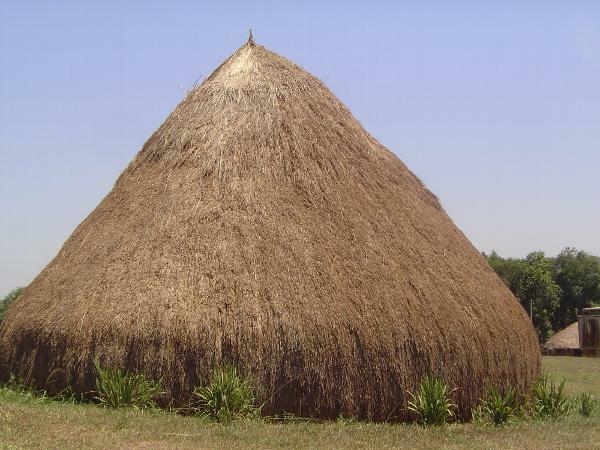 A modern pagan with the ideals of business efficiency and money making?" (p. 391). 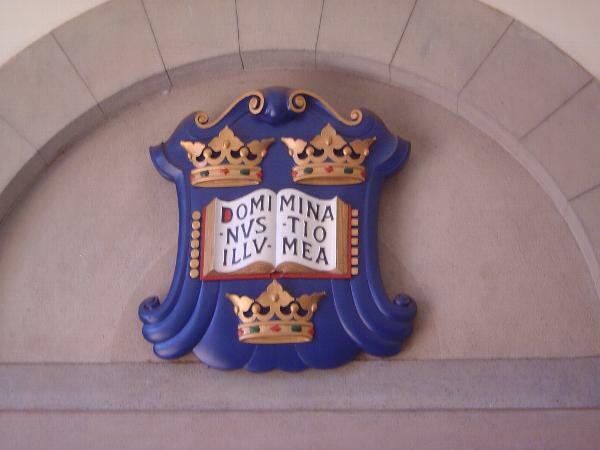 In the decades that followed, the British went away, but the university continued to grow. The answer to Cook's question became as clear here as anywhere: you're darn right. 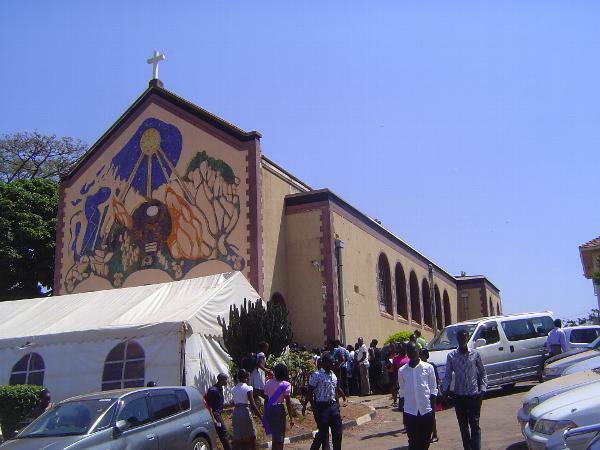 Still, the main building was soon flanked by two chapels, one Catholic and one Anglican. 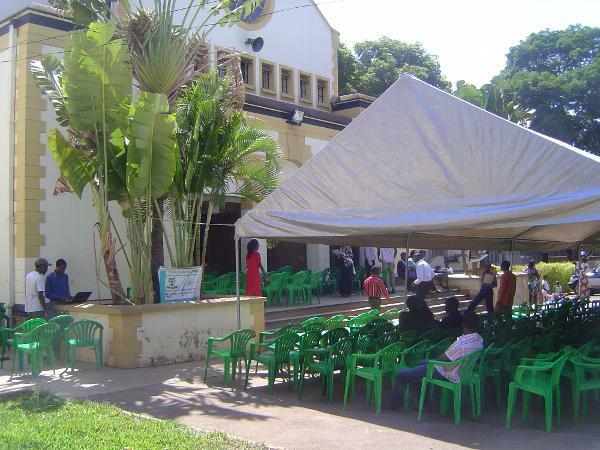 Sunday services are busy. The two chapels are evenly matched. 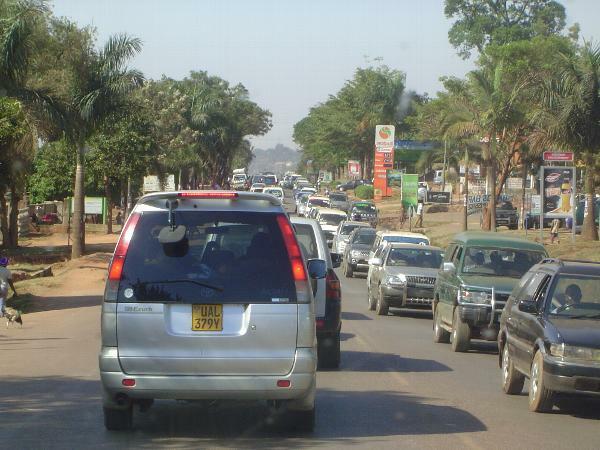 Meanwhile Mirams anticipated the city's need for better roads. Here's his plan for the main road through the city: separated traffic lanes, a planted median, diagonal parking, and wide sidewalks. The idea survives to the extent of plantings between the traffic lanes, but parking has shifted from the median to the margins. 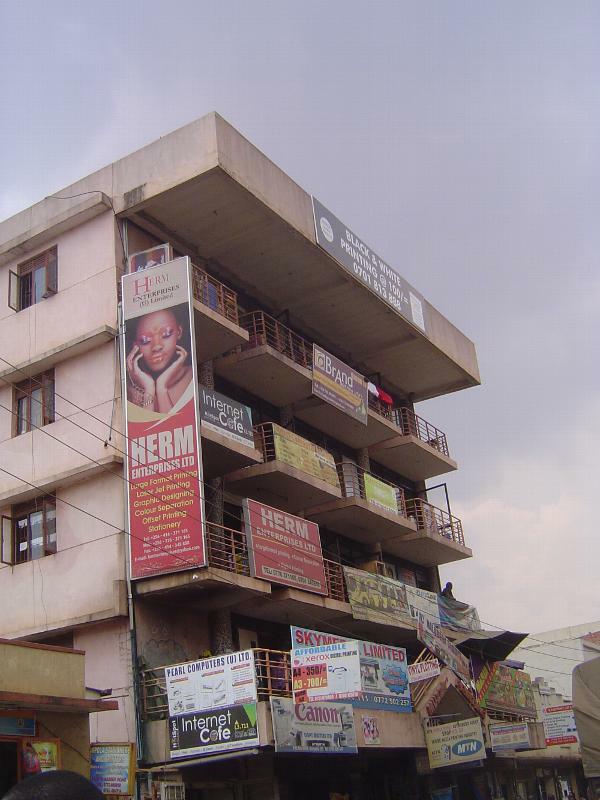 Mostly, the street is flanked by buildings like these. It's hard to imagine that the British considered them "fine," but the 1950s were a funny decade. Gradually, the height of these buildings rose. 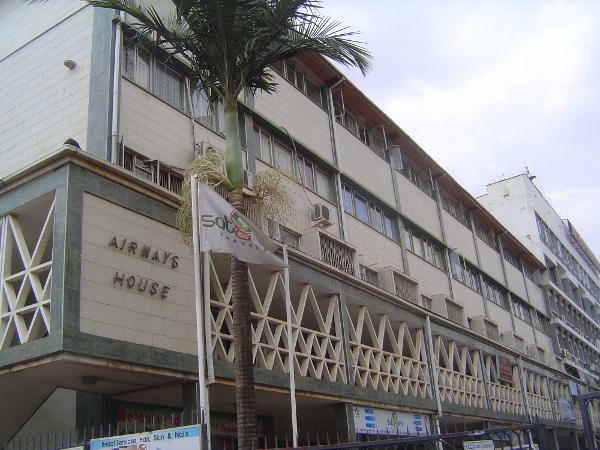 Confidently modern, Airways House was built as the Uganda office of East African Airways, which operated from 1946 until 1977. A few buildings qualify as high rises. 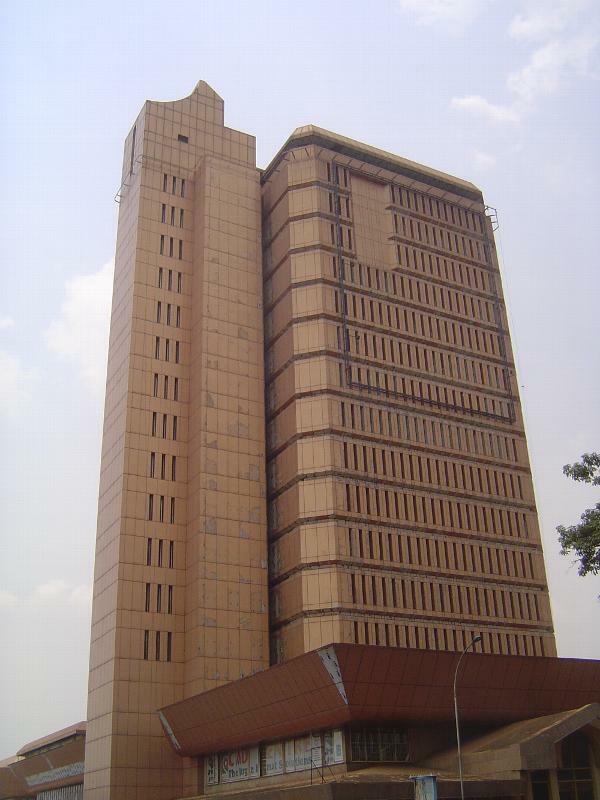 That's Uganda House on the left, built in 1980 and housing the Uganda People's Congress. 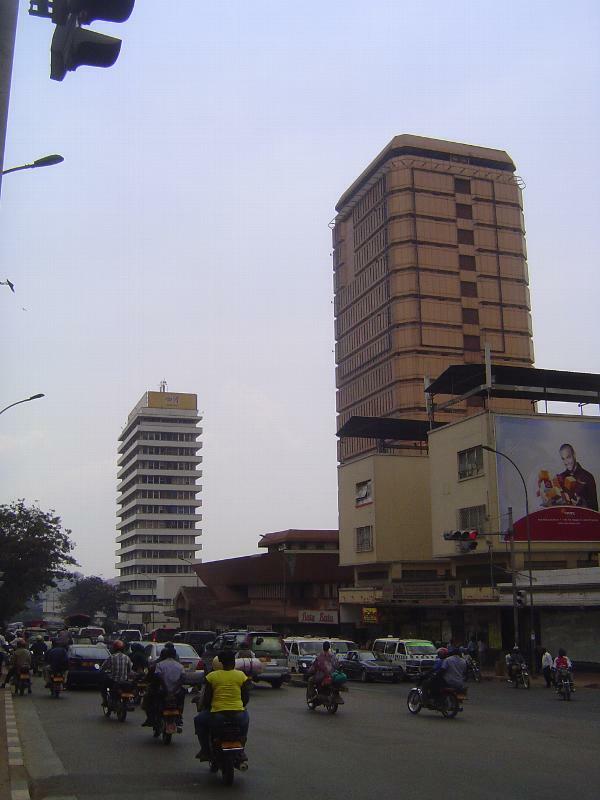 The Cham Towers, on the right, were built in 1979 as a bank. The median has disappeared in this stretch of the street, which has turned into a six-lane highway. 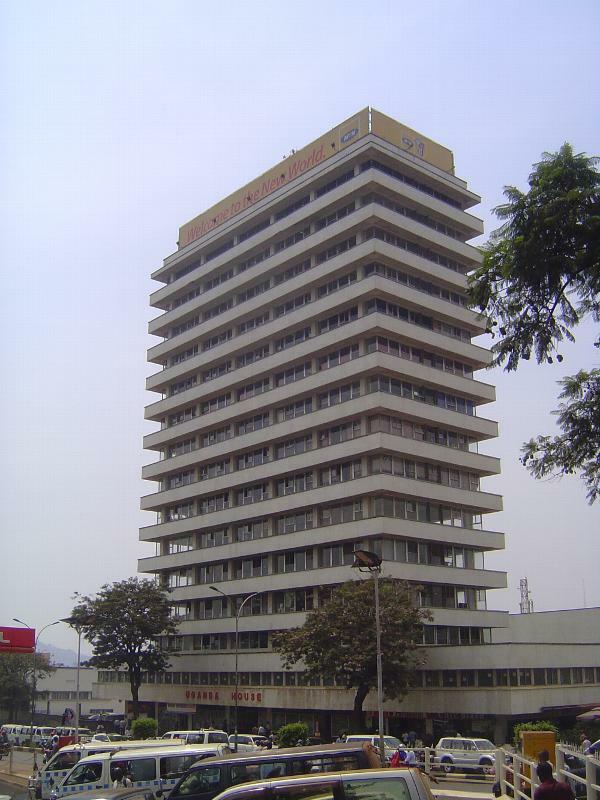 The Cham Towers were built as the Uganda Commercial Bank, which was eventually sold to the Standard Bank of South Africa, which in turn sold the building to a local businessman, Karim Hirji, who renamed the building but gradually let it fall apart. 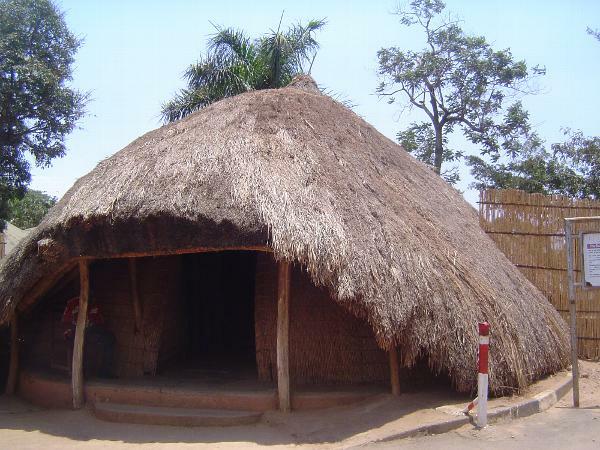 Uganda House seems marginally better. 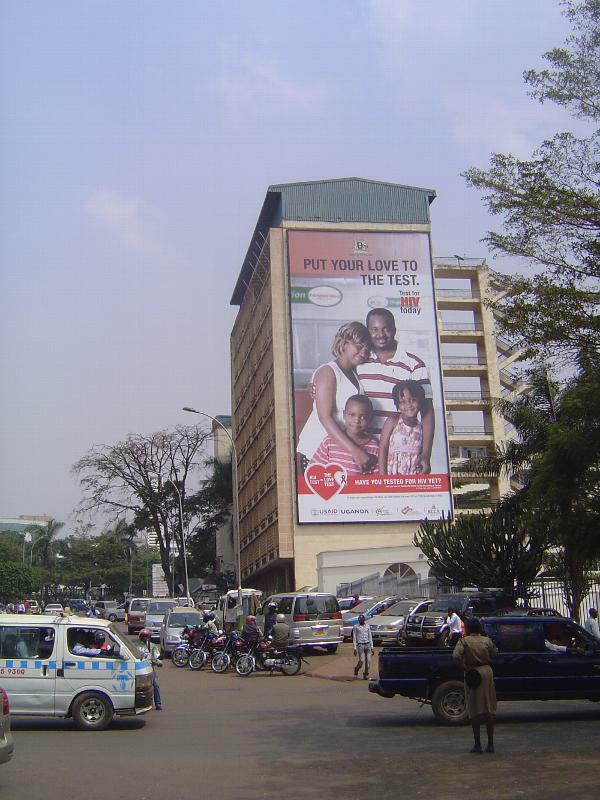 Blank walls become billboards plastered ubiquitously with U.S.-funded signs urging HIV testing. 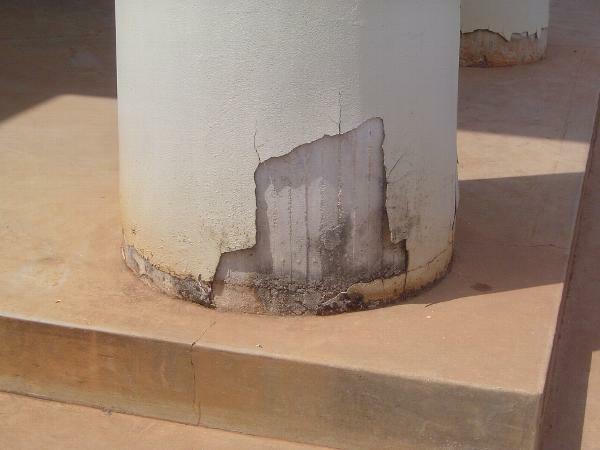 Why is that USAID, like other development agencies, always lets you know who paid for its good works? Meanwhile, the old nickname "Kampothole" is due for an update, perhaps to "Kamjam." 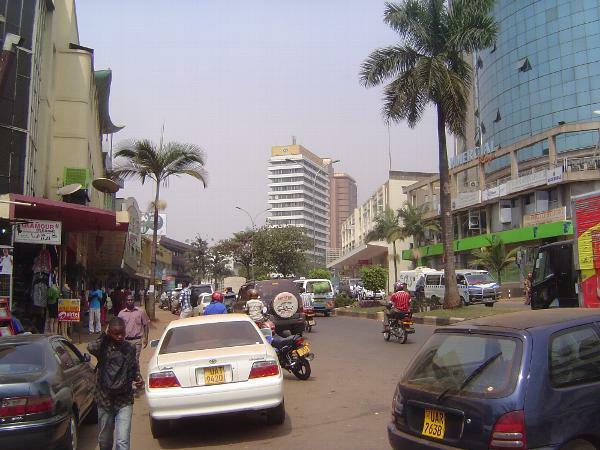 Churchill had written: "The road from Entebbe to Kampala passes through delicious country. 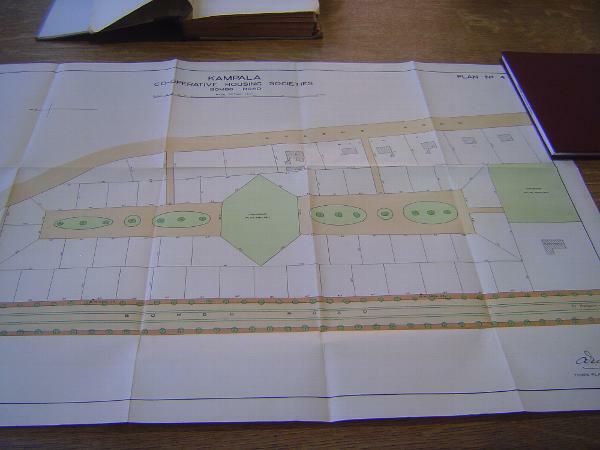 Along its whole length a double avenue of rubber trees has just been planted, and behind these on each side are broad strips of cotton plants, looking beautiful with their yellow flowers or pinky-white bolls" (p. 73).